Journalist Denise Kaminsky has recently interviewed Dragon Rider Productions' Brian Jude for an article for the Student Operated Press. A slightly longer version is now up on Denise's personal site... or you can read it here! Brian Jude grew up in the '70's and '80's in the Jersey Shore area, then moved to northern New Jersey to attend Montclair State University, where he studied broadcasting, with minors in music and film. When Brian completed college he began working on a variety of independent films. His first job was as a parking P.A., then moved into craft service on a film called "Caught," which was shot in Jersey City, New Jersey. He soon worked his way up the production ladder into production office coordinator, A.D. and production manager working on a variety of independent films, commercials and music videos. After spending several years of working long hours on other people's projects, Brian decided it was time to do his own thing. He had been working on a screenplay called "Ride with the Dragons ," an '80's heavy metal homage to "American Graffiti" and "Dazed and Confused." The story was based on his senior year of high school, during which his step-brother, who was three days younger than him, had been killed in a car accident less than two weeks after his best friend committed suicide. In 2001, his friend Richard Legon decided he wanted to get behind the project and help launch their production company, Dragon Rider Productions. They entered the script into the 2002 IFP Market, trying to shop it around to various producers, financiers, investors and distributors. "It was a great learning experience," says Brian. " However, we ended up learning the hard way that you should NEVER pay someone to raise money for you who can't even pay their own phone bill." Brian and Rich soon came to the realization that the best way to really get the film made was to do it on their own terms. But in order to do so, they needed to rethink their approach, put "Dragons" on the shelf for the time being, and go after smaller, simpler projects. Brian began producing commercials, industrial videos and webcasts to keep the company running, while developing low-budget feature scripts and working on short film projects. In 2002, Brian helped to form Exit 131 Productions. Within six months, three shorts were produced, "A Taste of Better Days," which Brian directed and cast his wife, Melanie Canter, as the leading lady, "The Interview," and "The Collector's Item," which Brian produced. Exit 131 has since evolved into an online networking outlet for New Jersey filmmakers. Brian is the moderator for the organization's Yahoo Groups and MySpace sites. Through Exit 131, Brian met Jesse Kaye. Jesse asked him to produce his short, "Cruel to be Kind," in which Melanie also co-starred. 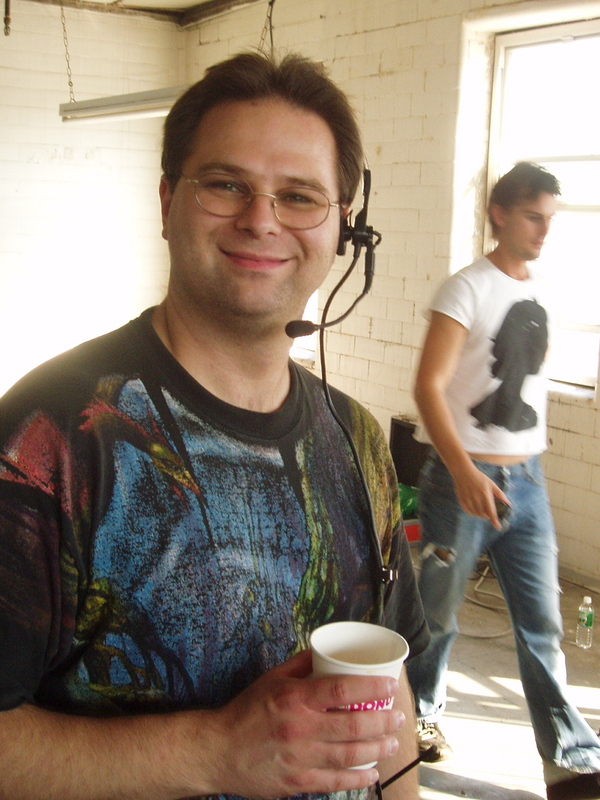 In 2004 Brian co-wrote, produced and directed a short called "The Last Days of Frank Whyte," co-written, produced by and starring Franklin Correa. After an extended post-production process, the film will be released this year. "This is a story of a young drug dealer who seeks revenge for his best friend's death, Brian says, "and the journey is a karmic unraveling of his entire life. The ending still surprises people... despite the fact that the film is called 'The LAST Days of Frank Whyte!' It's a great little film, of which I'm extremely proud." 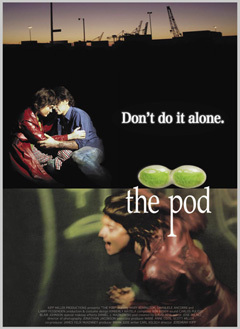 In 2005, Brian was asked by fellow filmmaker Jeremiah Kipp to produce his short, "The Pod," which recently played and the New York City Horror Film Festival. "The script was brilliantly written by Carl Kelsh, and it takes you on this journey of introspection of love and relationships through the main character's drug trip. Jeremiah did a wonderful job directing it, and the cast was fantastic." 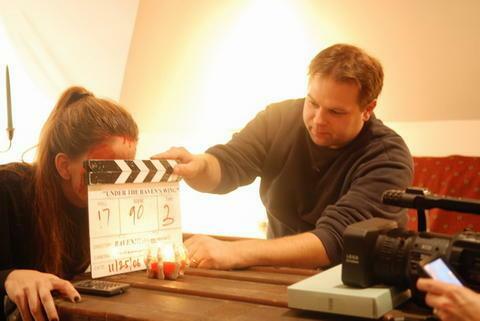 Early in 2006, Jeremiah brought Brian and their friend Rachel Gordon on to produce Alan Rowe Kelly's "The Blood Shed." 'The Blood Shed' is as much a comedy as it is horror. It's absolutely brilliant, from the script, to the cast and everyone else's talent and dedication that impacted the film." Brian is looking forward to completing the behind-the-scenes documentary he produced and directed for it, as well as seeing some "Bloody" sequels come into fruition! On the set of "The Blood Shed," Brian met actress/filmmaker Susan Adriensen, who brought him on to produce her recent film, "Under the Raven's Wing." 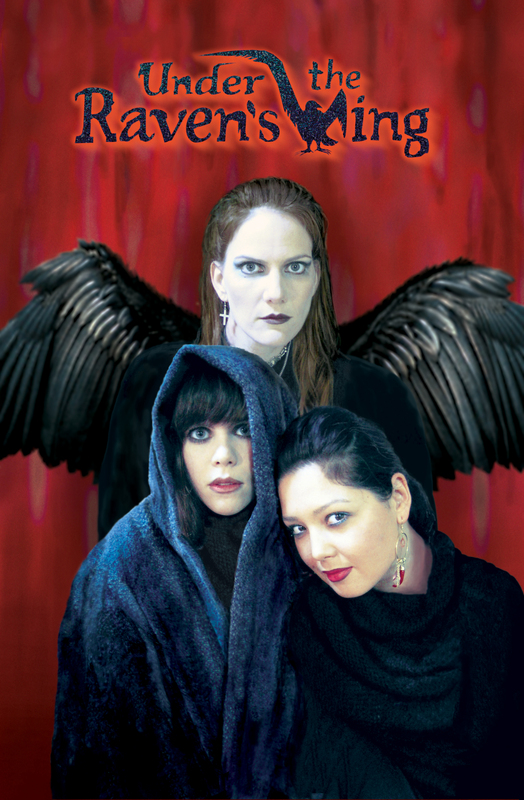 "The film is a pseudo-documentary about three girls who create a cult, in which they believe they must "transcend" people into higher realms of existence... through the serene act of stoning them to death. The script was a great character study of why people believe what they do, how people can be manipulated into doing things that are completely against their nature, and how people can exploit the most horrific situations. The entire cast brought the perfect amount of realism to the characters that the film demanded." Brian enjoys directing and producing stories that grab him on an emotional and/or philosophical level and present interesting challenges. "It might seem that I have an affinity for horror and thrillers, based on the projects I've been doing recently, however I'm really not a huge fan of those genres. But these projects were just so riveting, I couldn't turn them down!" He also has a true affinity for the Garden State, especially when it applies to film. "Before there was a Hollywood, New Jersey was the filmmaking capital of the world. It is the birthplace of film, and I'd love nothing more than to see the film industry boom here once again." Brian's current project is a departure from narrative filmmaking, but one that combines his passions of music and visual arts, and fulfills a long-time dream with a contemporary approach  an internet-based music video series called The Digital Café Tour. While in college Brian interned at Batfilm Productions, where he met singer/songwriter/guitarist Tom Walker. Brian and Tom became immediate friends, and soon Brian became a fan of Tom's music. Tom formed a "power-acoustic rock" band called Friday's Child, which quickly grew a large following locally, as well as up and down the east coast. The band became the listener-favorites of internet radio stations and sold thousands of CD's through their national tour of Borders Books and Music stores. "For years," Brian says, "I dreamed of shooting a live concert video for Friday's Child. Their CD's were great, but everyone loved the energy of the live show." In 2005, Brian decided to make his dream a reality. He hired a group of camera operators to shoot a concert at the Luna Stage in Montclair, New Jersey. Tom was blown away by the result, and posted a few early clips on his web site. The overwhelmingly positive response inspired them to create The Digital Café Tour (DCT). "Independent bands have had a tough time finding new audiences in the past few years," Brian says. "People aren't going out as much any more. They're staying home, surfing the web, and looking for new friends and new music on sites like MySpace. The DCT bridges the gap. We capture live performances of a variety of bands, playing a variety of genres, in a variety of locations. We then put them out on the internet, and soon we'll have them available for iPods and cell phones as well." In 2006, the DCT featured preview clips of concerts by Friday's Child, along with other local artists such as Carrie Engdahl & The Dark Marbles, Nashville favorites such as Laura Dodd & Secret Gossip and more. Brazilian jazz artist Monika Oliveira performed a concert backed by jazz legend Portinho, Lincoln Goines & Klaus Mueller. World- renowned blues artist Rab McCullough was recently featured in the DCT's clip of the week. In December the DCT captured the debut performance of The Blue Jackets, which features actor/director Edward Burns on guitar. In addition to concert clips, the DCT also provides interviews and on-line "how-to" clinics in a series called "Broaden Your Band." "Right now, we're just scratching the surface of what's possible," Brian adds. "2006 was a stepping stone for us. 2007 will be a catapult. We have a lot of things up our sleeves for this year." Keep checking their website at: http://www.digitalcafetour.com. Thanks Brian, Best of luck!